I've got Thanksgiving breakfast on lock. Whet your appetite with some pumpkin flavor in the am, paired with a yeast-risen dough base and buttery cake layer. Neither layer is too sweet to make you not want pie later, but both are just sweet enough to go perfectly well with the coffee or tea you fuel up for cooking with. Or, you know, if you abstain from all eating on the big day, this makes an excellent addition for brunch, a snack, or dessert for the entire season. The recipe also makes a lot of cake, so you'll have no problem feeding any house guests or early arrivals. 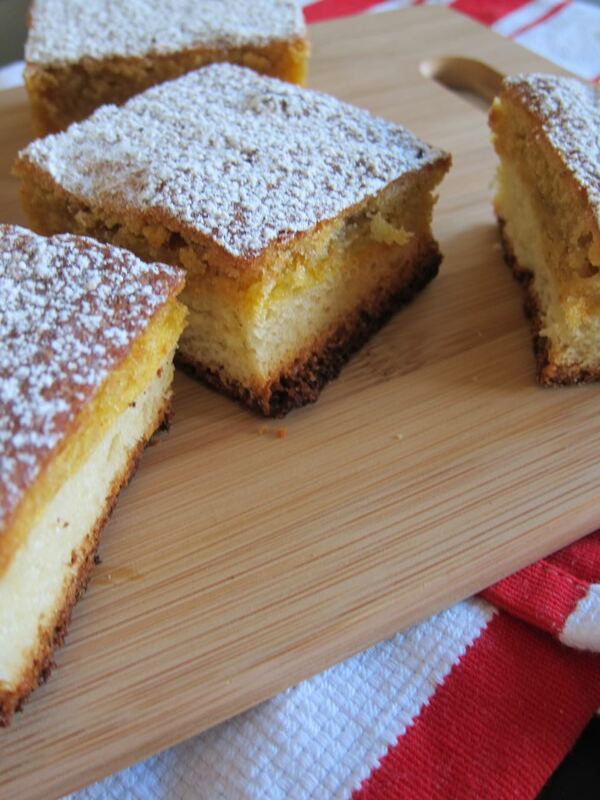 This cake is based off of Melissa Clark's version of a St. Louis style gooey butter cake, which is traditionally super sweet, buttery, and well, gooey. 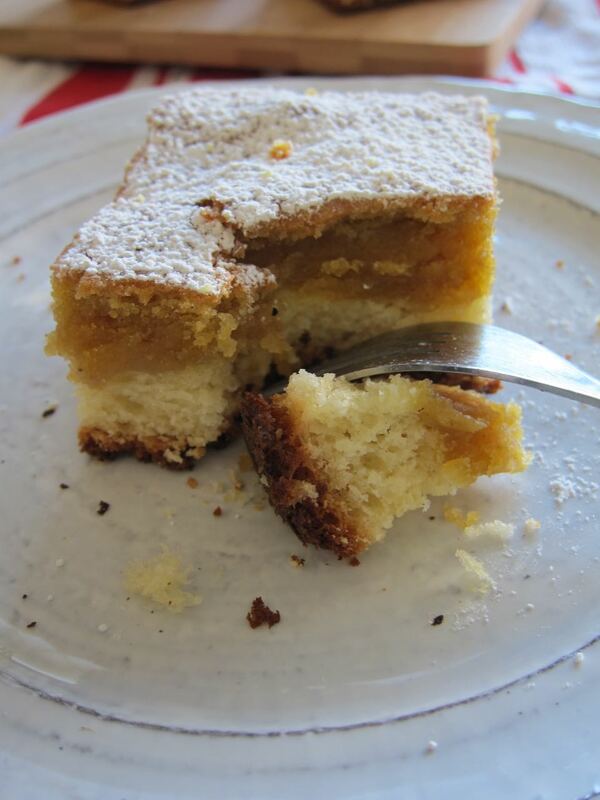 However, the addition of pumpkin here lessens the sweetness and firms up the batter a bit. The end result is less gooey and more pleasantly soft, and the diluted sugar rush means this cake doesn't have to be just a dessert, which is why I've dubbed it "breakfast cake." Once I saw the finished cake all I wanted to do was pair it with a hot mug of delicious tea and a leisurely morning over a holiday weekend. Make the base: Mix milk with 2 tbs warm water. Add the yeast and whisk gently to dissolve it, let sit until it is foamy. With a mixer, cream the butter, sugar, and salt. Scrape down the bowl, then beat in the egg. Scrape down bowl, then add in the flour and milk mixture, alternating each, and scraping down the bowl in between. Beat the dough on medium speed for about 8 minutes until in pulls away from the sides of the bowl. 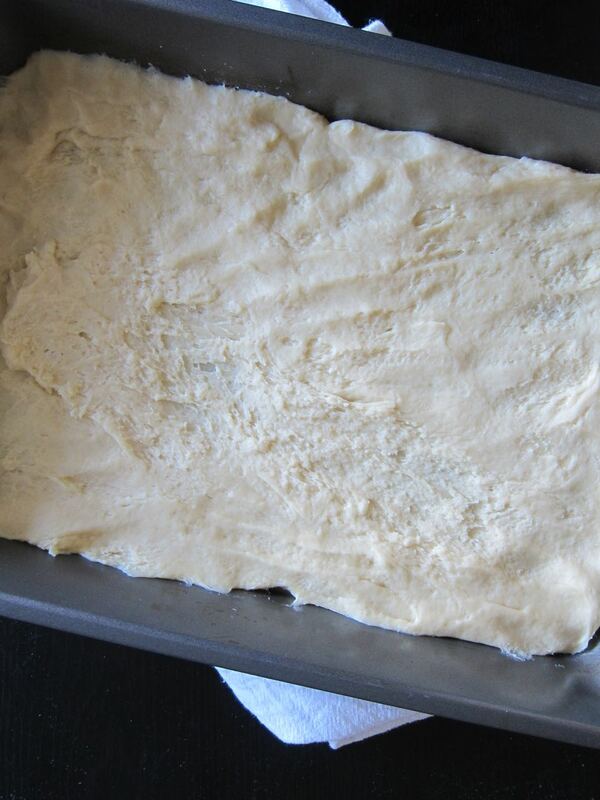 Press dough into a 9x13 inch baking dish and cover with plastic wrap or a clean dish cloth. Let rise 2 1/2-3 hours. Make the pumpkin topping: Heat oven to 350 degrees. Mix the corn syrup and the vanilla with 2 tbs of water in a small bowl. With a mixer on medium, cream together sugar, butter, salt, and spices for 5-7 minutes. Beat in the egg, then add flour and corn syrup mixture, alternating. Scrape down the bowl, then add in the pumpkin puree and beat to combine. Spoon the mixture over the risen cake base, and spread with a spatula to smooth evenly. Bake 35 minutes (bake at 325 if using a dark metal baking pan).